I’ll admit, I’m a bit of a clothes horse and shoe hound (which is odd considering I was born in a year of the ox). In my defense, I’m pretty careful about how I curate and take care of my…collections. So, I find myself cleaning-out and re-organizing my closet every month or two. I not only own a flipfold. I use it with relish. For the last couple of years, I’ve kept track of my ever expanding collection of costumy-type necklaces on a giant cork board. It worked well for a long time, but I was ready for a change and itching to use the power drill. While there are a thousand ways to skin this cat, the method I used cost a whopping $15 all in. 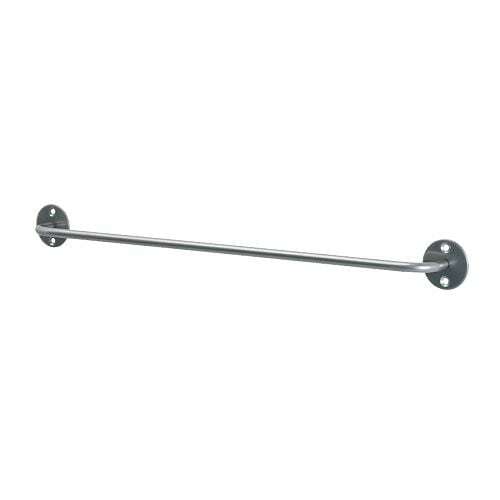 After measuring the horizontal space available in my closet and then cruising the Ikea website, I decided that the 22-inch Bygel rail would fit perfectly. 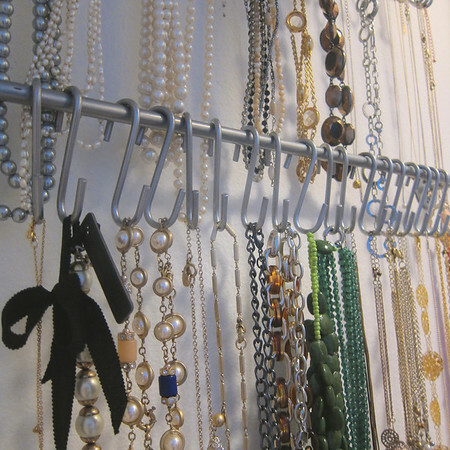 Measuring my vertical space, I figured I could fit three of these spaced to accommodate the varying lengths of my necklaces. 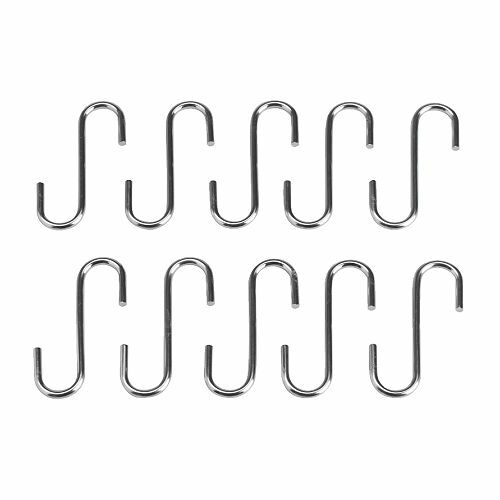 To do the actual hanging, I picked up several sets of the coordinating Bygel S-hooks. What I failed to do was calculate the two-inch drop created by the hooks. Of course, I installed the rods before realizing this mistake. 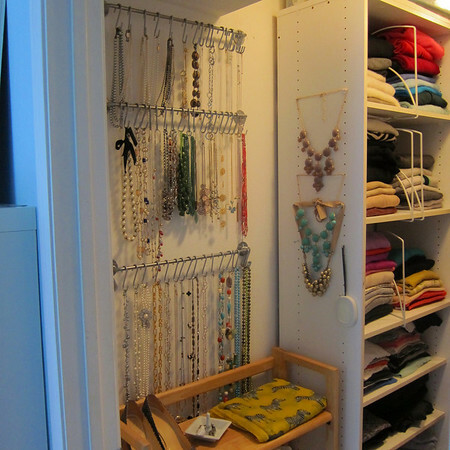 It threw off the aesthetic a bit–but not enough to re-hang the rods. 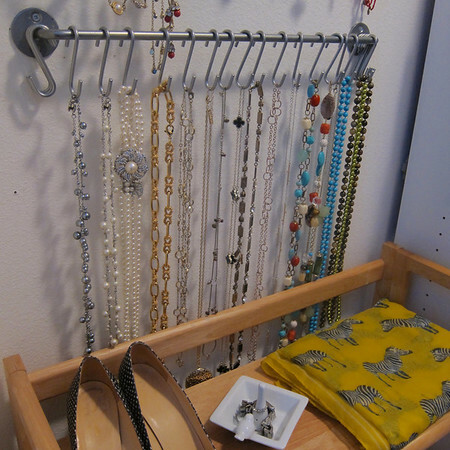 A level, a dozen screws and my power-drill itch scratched and I had a brand new way to display and organize my jewelry. I was pretty proud of myself. In fact, I thought I’d come up with a pretty clever idea all on my own. Then I went over to Pinterest. At least a dozen or so persons had already had the same idea. With better execution. Will trade services–my limited power tool skills for Baby Lucy snuggles!